Starting our potpourri of sci-tech-soc news: Kinect is watching you! People choose to post personal information on Facebook, Twitter, and Google. However, game platforms like Microsoft’s Kinect, continuously observe your nonverbal behavior, capturing every move you make. Subtle facial movements and gestures may seem harmless to share with others, but the way you move is frequently even more revealing than what you say. Researchers have used the Kinect to gather data to diagnose symptoms of ADHD; advertising companies may acquire such data to fine tune commercials. Look back to watch those who are watching you! Collusion is an experimental add-on for Firefox that allows you to see any third parties that are tracking your movements across the Web. In real time, it visualizes the data as a spider-web of interactions between companies and other trackers. Mozilla is developing Collusion, with support form The Ford Foundation, to enable users to not only see who is tracking them across the Web, but also to turn that tracking off when they choose. You will be able to opt out of sharing your personal data with a global database. We seem to be – very gradually – winning the most crucial civil liberties issue of our time. “An Illinois court declared the state’s controversial eavesdropping law unconstitutional–opening the recording of encounters with police.” This case is especially important because Illinois politicians made it a matter of explicitly aggressive anti citizen law. “Illinois’ eavesdropping statute, one of the strictest in the nation, makes it a felony to record any conversation without the consent of all parties. It carries stiffer sentences — of up to 15 years in prison — if a police officer or court official is recorded without his or her knowledge” Now, one can understand their reasoning. Given that nearly all of the last 5 or so Illinois governors have gone to prison and most Illinois pols are deathly afraid of wiretaps, having citizens free to catch corruption terrifies them. But they need to understand. This will not stand. I’ve long promoted the notion of “disputation arenas” or ritualized combat for ideas, as one major way the Web could finally pay off in vital, grand scale ways, doing for that realm what markets do for products and services and science does for truth. In fact, for a rather intense look at how “truth” is determined in science, democracy, courts and markets, see the lead article in the American Bar Association’s Journal on Dispute Resolution (Ohio State University), v.15, N.3, pp 597-618, Aug. 2000, “Disputation Arenas: Harnessing Conflict and Competition for Society’s Benefit.” Also available on Kindle. 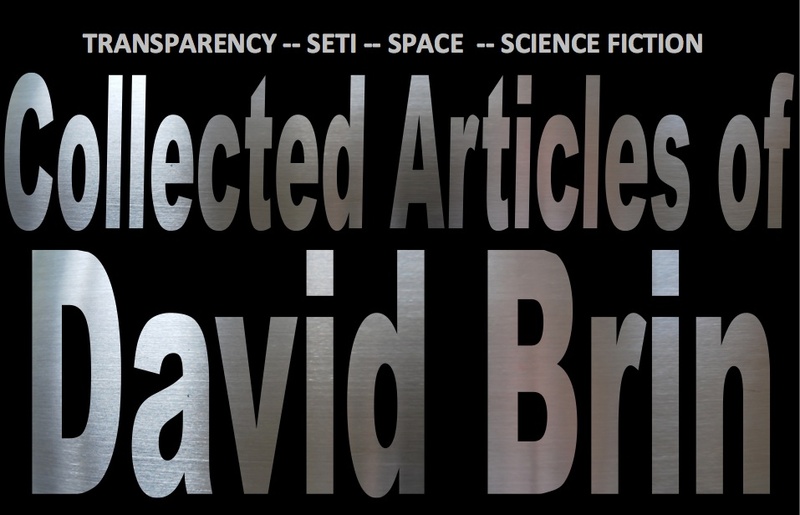 Even back in the 1990s, while writing The Transparent Society, I opined that most of today’s romantic “cypherpunks” or hackers – who proclaim themselves to be righteous, brave and sophisticated anarchists or revolutionaries against Big Brother – generally show astonishing naivete and ignorance over even the basics that underground movements understood, going back to anti-Nazi or anti-Soviet resistance, or the cat-and-mouse games versus Czarist secret police, or other legendary struggles going back to Sumer and Babylon. Of the twenty or so fundamental techniques used by oppressive regimes to staunch rebel movements, only three or four are thwarted at all by secret coding and other crypto techniques. Most of the hackers I’ve met seem to be completely unaware of the others, or the relevance of actual history… or else appear to be blithely reliant upon the fact that they don’t live under Big Brother at all. The fact that they can rely on news media, lawyers, and civilized law to protect their persons and families. But here’s the ultimate irony. Those who are best at this craft aren’t preening in public, nor pulling indignant-posturing stunts, attracting the attention of law-enforcement. Want recent evidence? See the latest example, as one of the most “legendary” of the latest round of extroverted hackers was caught fairly easily, then spent months ratting out his comrades. These aren’t the adults in their movement. The grownups are keeping low profiles, acting as citizens… while honing their craft quietly, against the day we all might desperately turn to them. Moreover, just like us, they actually hope such a day will never come. Earthshine reveals how to analyze exoplanets. 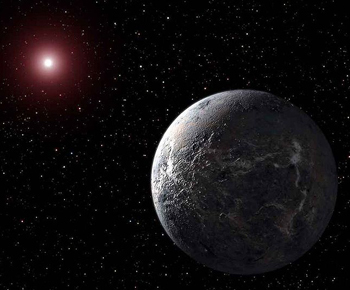 The biggest obstacle to studying distant planets? Separating their weak light from the blinding photon-torrents pouring out of their nearby suns. A possible method has been suggested to – “capitalize on a notable difference between light that is reflected off a planet and light that is emitted by a star: the former is often polarized, whereas the latter is not. To demonstrate the enhanced amounts of information embedded in polarized light, Michael Sterzik, an astronomer at the European Southern Observatory in Santiago, Chile, looked for biosignatures in Earthshine — the sunlight that’s been reflected off of Earth to the dark portion of the Moon’s face and then back to our planet. “The state of polarization contains a lot of information that hasn’t been used very often,” Sterzik says. Once the planetary component is thus separated, it can be analyzed for spectral components like water, methane, or even chlorophyll. Hm… actually, this sounds like reason to call up my old UCSD physics Masters Thesis. While my doctorate provided the modern explanation for comets (covered in a dusty, insulating layer), the earlier work was an advance in the theoretical treatment of polarized light passing through inhomogeneous, unevenly absorbing media… in other words, planetary atmospheres. Under certain special circumstances, quantum systems can remain coherent over much greater timescales and distances than conventional quantum thinking expects. Moreover, it appears that that life exploits this process in a way that explains the recent observations from quantum biologists. Quantum biology you ask? Whassat? The two most famous examples are in bird navigation, where the quantum zeno effect seems to help determine the direction of the Earth’s magnetic field, and in photosynthesis, where the way energy passes across giant protein matrices seems to depend on long-lasting quantum coherence. And now something nifty: a DIY gadget shines different colors of light on a surface depending on its temperature, helping to show where more insulation is needed in a room. Just the beginning of citizen empowerment through sensortech! 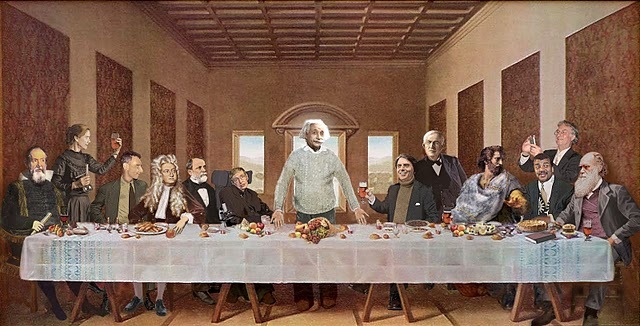 Chuckle at this scientifically modified pastiche of the Last Supper.